Nausea, cold sweat, even retching and vomiting—they’re all symptoms of motion sickness and they can pop up at inconvenient times, right? For those of us who live with motion sickness, we know what to expect in the car or on a boat, or in an airplane. But what about . 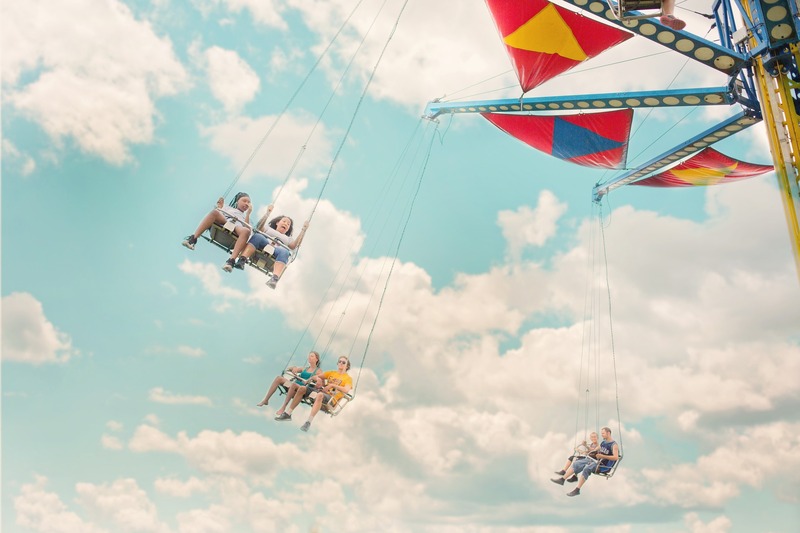 . . at the carnival? The teacup ride that little kids love—oof. The base of the ride goes around in a big circle, and each teacup on the base revolves independently. There’s a little wheel in the middle of each teacup that controls the spin of that cup. All it takes is one gleeful kid who’s determined to yank that wheel ‘round and ‘round, and there goes lunch! At the Stratosphere in Las Vegas, guests can pay to be strapped into a giant teeter-totter and thrown 27 feet over the edge of the casino, left to dangle face-down 866 feet above the Strip. A Devil’s Wheel looks simple enough. It’s a flat, slightly raised circular floor so many feet in diameter. Riders sit in the middle of the floor, which then spins faster and faster until they’re all tossed off, landing we’re not sure where but hopefully on a soft surface. Some people won’t hop on the rides because they’re scary as all get-out. That’s really the only reason one needs. And then there are those who love the thrill but end up puking because of, yep, motion sickness. We can’t stop the scary. It is what it is. 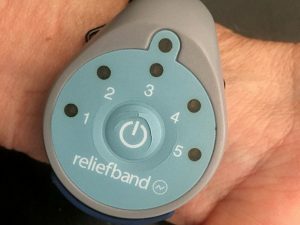 But, ReliefBand® helps control the nausea, retching, and vomiting associated with motion sickness. If you want to dangle over the Las Vegas Strip from atop a very tall casino, at least wear a ReliefBand® on your wrist!